The Bishop's School, Camp is situated about 2 km. from the Pune Railway Station, in the cantonment area of Pune, which is lush with greenery and has an extremely healthy and open position. 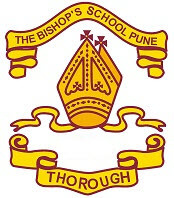 The Bishop's Co-Ed. School, Kalyaninagar is situated about 6 km from Pune Railway Station.